Strictly out of practical considerations CO (Commanding Officer) is used here on this site. For some more explanations & abbreviations see the help page. Married 2nd ...; one daughter. Elder son of Samuel Kallin (1872?-1941), and Ida Kallin (1872?-1963). Brother of BBC producer Anna Kallin. Married (13.05.1936, Riga, Latvia) Xenia Poushkin (died 11.10.1968), daughter of Senator Eugène Poushkin & Mme. Poushkin, of St Petersburg; one daughter. Married (04.05.1943) Margaret Cary Tuckerman. Junior executive with United States Lines. From California. Literature: Elizabeth Kauffman Bush, America's first frogman : the Draper Kauffman story (2004). Son of Gavin Kay, and Grace Amelia Cooper. Education: Durham Cathedral Choristers' School, Durham; St Chad's College, Durham University (BA, 1924; Dipl in Th 1925; MA 1927). Deacon, 1925, Priest, Durham, 1926. Curate, Herrington, 1925-1927. Chaplain, St Oswald, Lahore, 1927-1930. Vicar, Queensbury, 1933-1944. Vicar, Heaton, 1945. Honorary Canon of St Hilda in Bradford Cathedral, 1948. Rural Dean of Bradford, 1953. Archdeacon of Bradford, 1953-1957. Son (with one brother) of William Kay (1890-1960), and Elizabeth (Lizzie) Grier Brown (1886-1985). Married 1st Isabella "Ella" Watt McIntyre (23.07.1917 - 23.04.1965), daughter of William George McIntyre (1885-), and Euphemia Phail Watt (1892-1968); one son, one daughter. Education: LDS RFPS Glasgow 1941. Registered dentist 10.11.1941. Son of Walter H. Keable, and Elizabeth A. Clarke. Son (with one sister) of William John Charles Keats (1867-1944), and Eliza Jane Ennis (1867-). Son of Thomas Cook Keay (1849-1925) and Williamina Foggie (1856-1930). Married (27.03.1918, Paddington, London) Frances Ravenscroft (1888?-1968); one son, two daughters. Son of ... Keenan, and ... Hirst. Son of Alexander Keighley (1861-1947), and Lily Howroyd (1879-1924). Son (with three sisters and three brothers) of John James Kellow (1859-), and Elizabeth Langsford (1862-). 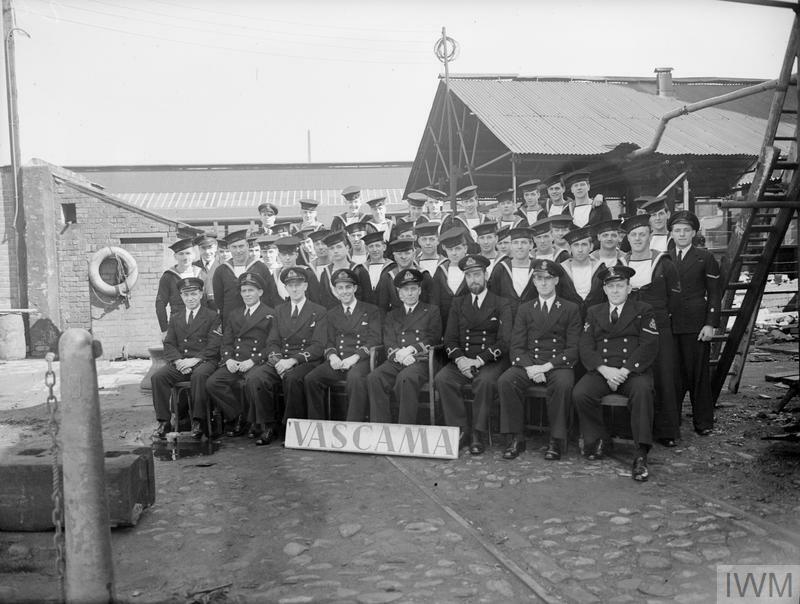 * Special Branch Officer who is employed on staff, etc., duties ashore, but has not received any training of an executive nature Education: Ford Boys' School (1909-1914); Higher Elementary School, Devonport (1914-1918); HM Dockyard School (1918-1919). HM Dockyard, Devonport 1918-(1927) (apprenticeship 1918-1923; liner-off of drawings for construction of HM Aircraft Carriers "Furious" & "Courageous" for work of fitters on Constructive Manager's Department 1925-1927). Son of Cecil Grattan Kelly (1892-1981), and Harriette Fleming (1893-1980). Education: Queens University, Belfast (...-1943); University of Toronto (MEd 1963; DEd 1970). Son of Lt.Cdr. (E) Henry Kelly, RNR, and Katie Kelly, of Douglas, Isle of Man. Son of Alfred E. Kelsey, and Edith Cooke. Education: MB, ChB (Sheffield, 25.03.1942). General practitioner, Ramsbottom, 1949-1976. Late House Surgeon EMS Hospital Wakefield. Visiting Physician Robinson Kay Home Manchester; Medical Officer Summerseat Home Children Manchester. Youngest son of Hugh Kemsley, and ... Brown, of Theydon Bois, Essex. Son of Joseph and Winifred Kendall. Married 1st .... (marriage dissolved); one son, one daughter. Married 2nd (1961) Maureen ...; two sons. Worked with the Forestry Commission, 1949-1957. Emigrated to Canada, 1957. Worked with the British Columbia Forest Service and with the Federal Forest Service in Ottawa, 1957-1960. Worked with the MacKenzie Forest Service in North West Territories, 1960-1963. Serve the National Park Service Until retirement in 1986 Superintendent of the Prince Edward Island National Park. His son writes: "He was part of the British Pacific Fleet. Went to Australia via the Panama Canal circa 1943. Returned via Cape Town circa 1946." Son of Alexander Anderson Kennedy and Letitia Kennedy; husband of Gillian Barbara Kennedy, of Charlton Kings, Gloucestershire. Remembered at the War Memorial at Seaton, Devon (St Gregory's Churchyard). Married 1st Rachel Lockhart Smith (died 1956); three sons. Married 2nd (01.1958) Joy Buchanan; one daughter, three step-daughters. Residence: Glasgow; (1966) Bearsden, Dunbartonshire. Education: Kelvinside Academy; Loretto School, Musselburgh (winter 1931-apr. 1936; head of school, VI, Prizeman, XV, hockey (Capt. ), pipe major, athletics [school record holder for the 440 yards], boxing, shooting, Officer Training Corps); Pembroke College, Cambridge (MA; University Relay Team). Drycleaning, laundry and dyeing services. Company director (Bowie-Castlebank Lts. and subsidiary companies). President, Scottish Federation of Junior Chambers of Commerce 1957. Deacon of Incorporation of Bonnetmakers and Dyers, Glasgow 1960. Trustee of Loretto School. Son of Capt. Edward Coverley Kennedy, RN (1879-1939), and Rosalind Margaret Innes Grant (1893-1977). Married (25.02.1950, Chapel Royal, Hampton Court Palace, Middlesex South district, Middlesex) Moira Shearer King (17.01.1926 - 31.01.2006), daughter of Harold Charles King; one son, three daughters. Education: Eton College; Christ Church, Oxford University (MA; 1948). * For courage, endurance and skill whilst with Light Coastal Forces in the Mediterranean & in Northern Waters. ** For courage, determination and great devotion to duty whilst engaged in clearing oyster mines by depth charges from the approaches of Le Havre, and the rescue of survivors from a ship mined in the approaches, during bad weather and under particularly dangerous conditions. Elder son of Owen Kentish, of Blackheath, London. Education: Rugby School (09.1923-01.1928; Tudor House; XV, 1926-27 (Capt. ); Cadet Officer); Oriel College, Oxford. Professional opera & concert singer and broadcaster. Principal tenor, Sadler's Wells opera, Glyndebourne, etc. Son of John Kenyon, and Edith E. Miller. His daughter writes: "Dad was severely injured and was in fact sent to NZ after the war as an invalid in 1946. We have always been led to believe that he was one of two survivors of a landing craft, and his lungs were damaged by the diesel fuel in the water. He spent 9 month in hospital before coming to NZ. My dad became a teacher, later a lecturer at the Palmerston North Teachers Training College. Like many veterans he didn't like to talk about his wartime experiences. I rather suspect he must have lied about his age when he joined the RNVR." Son (with two sisters and three brothers) of Raymond Joseph Andrew Kerner (1881-1951), and Evelyn Constance Anne Kerner (1887-1947). Manager of C.W. Mackie & Co. Galle. Son of John Moffat Kerr (1864-1946), and Agnes Forsyth Wallace (1868-1930). Education: High School of Glasgow (1906-1915); University of Glasgow; MD (28.10.1928), MB, ChB (1923), DPH (1925), BSc. A member of the Middle Temple, he had been medical officer of health of the County Borough and Port of Grimsby. Son of William and Agnes B. Kerr, of Northallerton, Yorkshire. Only child of William and Mary Kerrigan. Joined Customs and Excise in 1946 and retired as Collector Aberdeen. Moved to Helensburgh after his wife's death to be close to his family. Eldest son (with two brothers, both killed in WW2) of Harold Slaney Kershaw, CBE (1882-1969), solicitor, and Pleasance Holt, of Endon Hall, Macclesfield. Married (1950) Heather Worthington (née Bett); one son, one daughter, one step-daughter. Education: Rugby (2nd term 1929-2nd term 1934; Cotton House; XI 1934, Racquet Pair 1934); Worcester College, Oxford (represented Oxford at racquets (1936-38), tennis (1936-38) & squash (1937-38)). Was for more than 30 years chairman of Joseph Holt's brewery in Manchester; he was also one of the outstanding rackets and real tennis players of his generation. Married 1st (1941) Mary Alexa Clayton Cowell, MD (marriage dissolved); one son, one daughter. Married 2nd (1961) Lois Freeland. Formerly: Demonstrator in Morbid Anatomy, Manchester University; Leverhulme Senior Lecturer in Medical Parasitology, Liverpool School of Tropical Medicine and Liverpool University; Walter Myers and Everett Dutton Professor of Parasitology and Entomology, Liverpool University, 1958-1966. Honorary Lecturer, Department of Bacteriology, University of Manchester, 1977-. Scientific Advisor: Ribble Fisheries Association; Humane Res. Trust; formerly Advisor in Tropical Medicine, Manchester AHA; Hon. MO, Manchester, Salford and Liverpool Universities Naval Units; formerly: Cons. in Parasitology, WHO; Cons. to UN Environment Programme, SE Asia; Chairman, Tsetse Fly and Trypanosomiasis Committee, ODM; Member, Tropical Medicine Research Board, MRC (Chairman, Helminthiasis Committee). Vice-President, RSTM&H (Chalmers Memoral Gold Medal, 1955); Honorary Fellow, British Society of Parasitology. Non-executive Chairman, Mayor's Boatyard, Tarlton. Vice-Chairman, W Lancs Victims Support; Mem., Dunkirk Veterans' Association. Honorary Freeman, City of Rangoon, 1961. Professor of Biology, University of Salford, 1966-1976, then Emeritus Professor. Husband of Hilda Kidd, of Keighley, Yorkshire. Only son (with one sister) of Samuel Edwin Wooldridge Kilvert (1878-1954), and Laura Bloomer (1870-1955). Education: University of Birmingham (MB, ChB, 1935). On staff Clevedon Hospital & The Knoll Maternity Hospital. Factory Doctor in the UK. Immigration Off. for Canda/New Zealand. Sen. Res. Anaesthesist Queen's Hospital, Birmingham. Migrated to Australia 1956. Then medical practitioner at Beenleigh, Brisbane, Queensland, Australia. Hon. Anaesthesist Mater. Miser. Hospitals Brisbane. Son of John Herbert and Minnie Jane (Dickerson) Kimble. Married (20.07.1936) Dorothy Stevens Berry; one son, one daughter. Assistant Lecturer in Geography, University of Hull, 1931-1936; Lecturer in Geography, University of Reading, 1936-1939. Professor of Geography and Chairman Department of Geography, McGill University, 1945-1950; Secretary-Treasurer, International Geographical Union, 1949-1956; Chairman, Commission on Humid Tropics, International Geographical Union, 1956-1961. Director, American Geographical Society, 1950-1953; Director, Survey of Tropical Africa, Twentieth Century Fund, NY, 1953-1960. Chairman, Department of Geography, Indiana University, 1957-1962; Professor of Geography, Indiana University, 1957-1966; Research Director, US Geography Project, Twentieth Century Fund, 1962-1968. Rushton Lecturer, 1952; Borah Lecturer, University of Idaho, 1956; Haynes Foundation Lecturer, University of Redlands, 1966; Visiting Professor, University of California (Berkeley), 1948-1949; Stanford University, 1961; Stockholm School of Economics, 1961. Governor, Eastbourne Sixth Form College, 1980-1981. FRGS 1931. Honorary Member, Institution British Geographers. Editor, Weather Res. Bulletin, 1957-1960. Son of ... Kindell, and ... Stevens. Son of Richard G. King, and Mona B. Challen. Son of ... King, and ... Bedwell. Son of William E. King, and Elizabeth J. Lowden. Third son, and seventh child of The Rev Herbert Alfred King (1870-1947) and Clara Lucy Matilda Young (1879-1962). Secretary, Hertfordshire National Farmers Union (Retired). Son of Robert B. King, and Phyllis Trafford. Married 1st ((03? ).1946, Shrewsbury district, Shropshire) Betty W. Young; one son, one daughter. Education: Oakham School, Rutland; Edinburgh University (MB, ChB 1943). General practitioner in Hurworth-on-Tees, Darlington, County Durham, then Grimsby, and finally Newton Aycliffe, near Darlington. Son (with two brothers and three sisters) of Frank Stanley Kingdon (1886-1966), and Daisy Matilda Ward (1886-1968). Brother of F/O Frederick Ernest Kingson, RAFVR. Married 1st ((06? ).1937, Greenwich district, Kent) Rose Ethel Laundy (21.03.1908 - 04.10.1971). Son of William Henry Kingsley (1869-1952), and Lilian Smith (1870-1944). died between 08.1973 and 08.1977 ?? Son of Henry Kirk (1885-1963), and Catherine Seath Rodger (1895-1945). Son of James Kirkby, and Alice Whisker. Son of Charles Magill Kirkpatrick, MBE, and Lucy K. Kirkpatrick, of Belfast, Northern Ireland. Son of John W. Kitchen, and Mary S. Carroll. Son (with eight siblings) of Charles Ernest Kleboe (1871-1948), and Maud Martha Jeffreys (1886-1970). Son (with one brother and one sister) of Warrick Snowden Knight (1875-1958), and Martha Ethel Langdon (1885-1961). Son of ... Knight, and ... Tedder. James Ernest Knowles (1882-1947), and Ceridwen Edwards (1891-1975). Married 1st (07.05.1945, Crosby district, Merseyside) Jean Fawcett Armstrong (05.02.1921 - 17.05.2003), daughter (with two brothers and one sister) of John Armstrong (1885-1938), and Marian Harrison Fawcett (1887-1950); two sons. Education: Kings School, Chester (1927-1936). Articled, Boots Chemists, Chester, 1938-1941. Registered with the Royal Pharmaceutical Society in 1942 and became a Fellow in 1971. On return to civilian life he opened his first pharmacy in Ellesmere Port and later acquired two more in Hoylake. In the many years that he followed his chosen profession he became involved in extramural activities, serving on two National Health Service Authorities, re-opening the local Cottage Hospital, was appointed a Magistrate and finally was invited to give his services to the Statutory Committee of the Royal Pharmaceutical Society. In all this time he was able to indulge in his hobby of sailing as and when his other activities permitted. Last residence: Mark Cross, Crowborough, East Sussex. Son of Harry and Rosie Kutcher. Married (15.01.1946) Celia Deborah Smith; four sons, one daughter. Commercial photographer & cinema operator. Son of ... Kyd, and ... Long. Son of ... Kynoch, and ... Chetham.